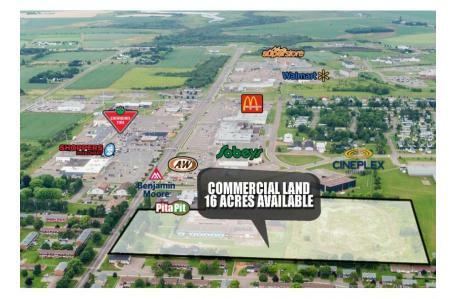 Ideal location to expand or open a business in Summerside. Property is located in the heart of the new retail and commercial district in the city. Approximately 16 acres of space is available as required for development. Directly located on Granville Street, this is the only remaining commercial space left in this area. Nearby places and businesses include Granville Street Plaza, County Fair Mall, A&W, BMO, Pita Pit, Cineplex Theatres, and many more.